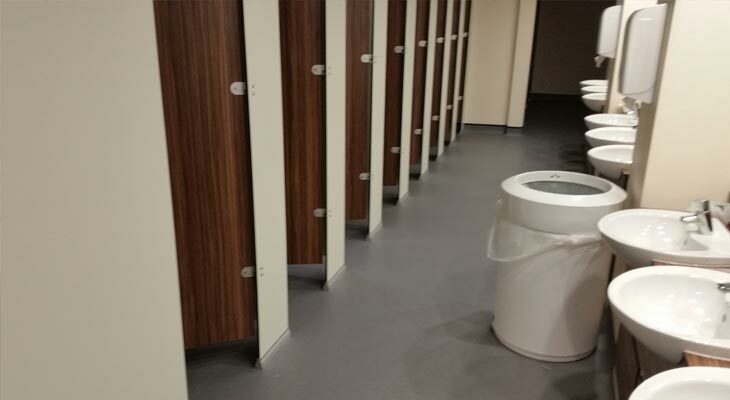 Euro-Pean Flooring was tasked under the main contractor to install new safety vinyl flooring as part of a full refurbishment of the toilet areas in the Queen’s Pavilion at Ascot Race Course. 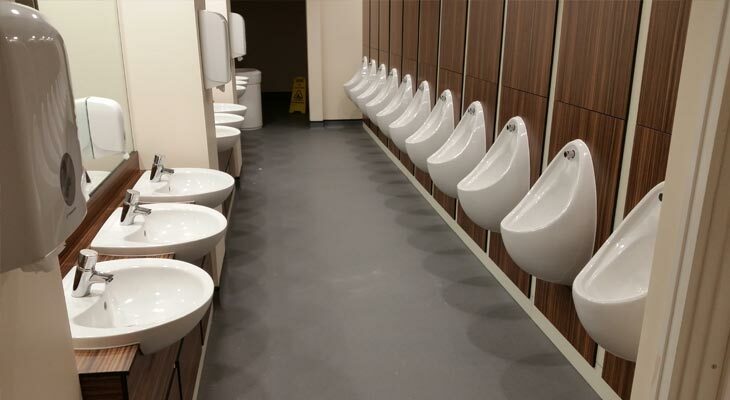 The combined 200 square metre commercial flooring installation to the gents, ladies and disabled toilets was scheduled over the festive shut down to minimise disruption to the end customer’s commercial activities. 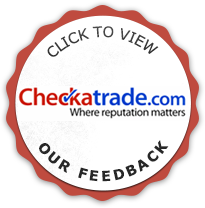 View photos below from the safety vinyl flooring in Ascot. Since completion we have carried out further commercial flooring installations on behalf of the main contractor. If you require help with your commercial flooring then please contact us at Euro-Pean Flooring. 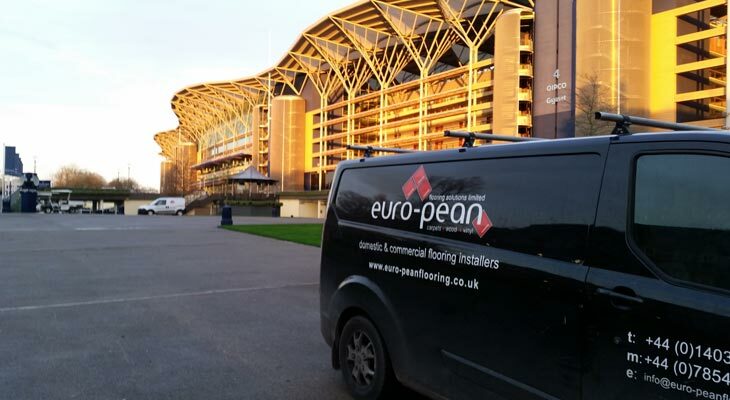 One of our Euro-Pean Flooring vans on-site at Ascot Race Course. 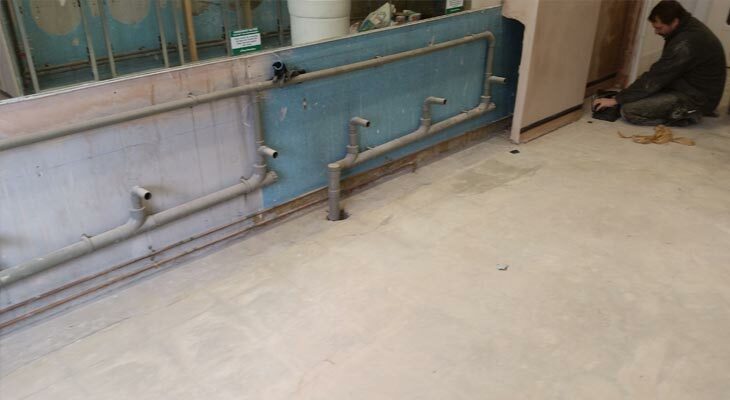 The main contractor had stripped out the old toilet areas and the dated and failing vinyl flooring was then removed. 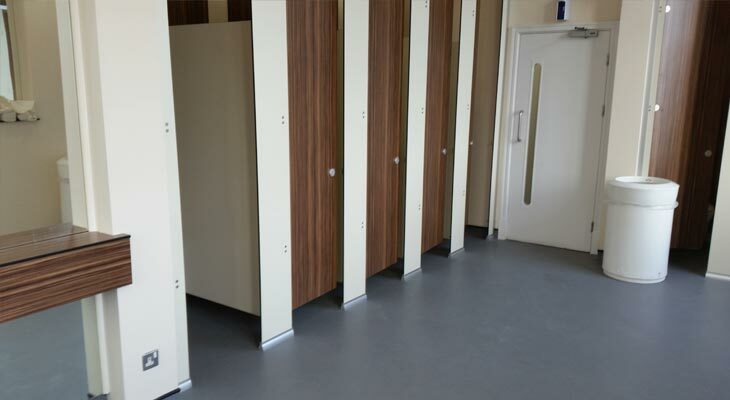 Our task was to install new safety vinyl flooring for the reinstatement of new basins, toilet cubicles and urinals. 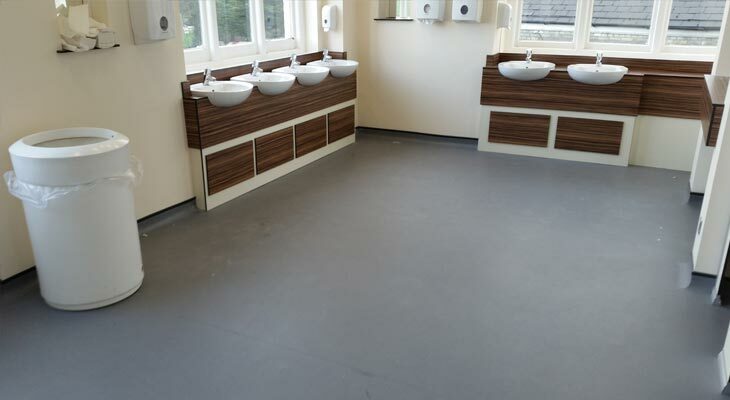 We laid a new latex floor and then installed a new grey safety vinyl top layer including hygienic cove for ease of clean to three areas (gents, ladies and disabled). View of the finished ladies toilet flooring in Ascot with new sanitary wear in place. View of the cubicles area to the newly finished ladies toilet flooring. View of the completed gents urinals, again with grey safety vinyl flooring in place. 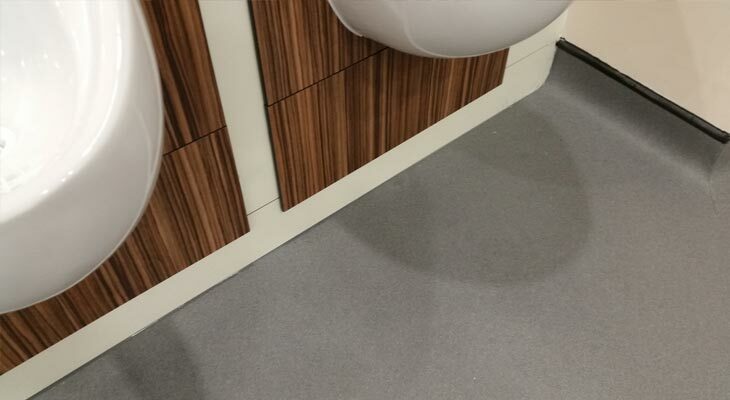 Close up of urinal sections built on top of our new safety vinyl toilet flooring, with black cove detail along the wall. Once in place we silicon seal along the edge. View of the completed gents cubicles area. Overall the grey safety vinyl flooring in Ascot took a team of three of our vinyl specialists four days to complete. 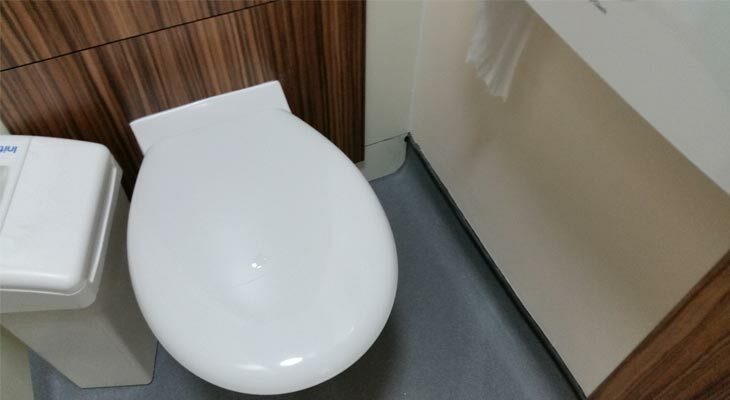 Inside a cubicle with hygienic cove turned up the wall and tucked into the black capping strip, enabling ease of cleaning and reduced spread of germs.